Beginning his martial arts journey with the study of Hung Kuen Shaolin Kung Fu, Nick Osipczak became a national champion in the open-weight division after only two years of study. Not long after, he started his Mixed Martial Arts (MMA) training. Within just 4 short years, he not only became a professional MMA fighter, he competed five times for the largest & most prestigious fighting organization in the world - the UFC (the Ultimate Fighting Championship). Nick then went on to make the bold switch to Tai Chi Ch'uan and five years after, in June 2015, he became the first person to represent Tai Chi Ch'uan in the sport of MMA, winning within the first round! The BookMartialArts.com team recently had the priviledge to catch up with this accomplished fighter. Throughout the chat, we gained much insights from his inspiring martial arts journey, his valuable advice for those who aspire to ‘make it’ to the UFC as well as information on the upcoming MMA & Tai Chi training camps he’ll be hosting. Read on! Could you share with us as to who and/or what inspired you to start training in martial arts? I had dabbled in many sports as a teen, mostly soccer, tennis and pool, but had never committed 100% to any of them. When I was 18, I felt the calling to take up martial arts training to discipline the body and the mind. It really resonated with me and I enjoyed it thoroughly so I continued to pursue it. Out of all the martial arts disciplines, why did you choose to initially train in Kung Fu? And how did your MMA training come about? I had watched some boxing matches growing up on TV, and remember thinking to myself that the guy who wins is still getting punched in the head a lot! This didn't appeal to me much, even though there was something inside of me telling me I would be good at it. However, from the little I'd seen or read about Kung Fu, great skill was emphasised, and the "Master" could win without receiving a single blow. This really intrigued me. After two years training in Hung Kuen Shaolin style, I started MMA training. I had been watching a lot of the UFC whilst at university, and needed to know how my Kung Fu would hold up against people from other styles, in particular against those trained in wrestling and ground fighting. We heard that you had graduated with a university degree in Mathematics, Accounting and Financial Management - What made you eventually decide to pursue MMA as a career instead? I was a semi-professional poker player, which meant I was naturally good with numbers, especially statistics. But my plan was never to get a "regular" job. By the time I had left university, I had already begun a successful amateur career in MMA. After quickly rising through the MMA ranks, I realised I had a natural talent for fighting. My poker was supporting me financially just enough to be able to train full time, and then after going 3-0 as a professional, winning all three fights in under one and a half minutes, an opportunity came up to audition for season 9 of the Ultimate Fighter, USA vs UK. I was successful in this and off the back of my performances on there, I was offered a contract with the world's most sought after fighting organisation - the UFC. You are known as one of the very first martial artists to represent Tai Chi in MMA competitions. How has Tai Chi contributed in helping you to become a great MMA fighter? After my last fight for the UFC in 2010, I wasn’t entirely sure whether I will be fighting again. At this time, I was able to ease off the punishing training regimen that a fighter would have to go through to prepare for an upcoming match so I used this opportunity to train purely for the love of it once again. I became drawn to Tai Chi and once I took it up, I realized the efficiency, beauty and depth of the internal martial arts, and became 100% committed to its mastery. Tai Chi has helped me balance my training out and added longevity to my career. It has also helped deepen my understanding of basic movement, alignment and intent. Most MMA fighters are far too Yang in their training, which leads to early burn-out and often imbalances in their personal lives. Tai Chi has also opened a lot of doors for me outside of competition. I currently teach everyone from kids, to old ladies, to professional fighters, helping me stay grounded and grateful. It is also one of my goals to help spread the internal martial arts into MMA. Could you tell us about the two upcoming Tai Chi & MMA training camps you'll be hosting? At the end of October, I will be hosting my first intensive workshop open to the public, a 7 days Tai Chi & MMA training camp to be held in the English countryside. At most Kung Fu camps, there is very little or no actual fight training taught, mostly just form and qi-gong. This can get boring after a while, and frustrating to those who want to learn how to actually fight. You will never be able to fight well if all you practice is form and qi-gong, and never spar. My camps will be packed with information, covering everything from ground fighting to nutrition. Having been a fighter and a coach at the highest level for many years, students will be able to ask me whatever questions they like, and I will openly pass on my experience to them. If you are interested in joining a more intensive course, I will also be hosting an 5 days MMA training program in Goa in March 2017. Many MMA fighters aspire to become a UFC champion. What were the biggest challenges you've encountered on your journey to UFC? And what are the accomplishments are you most proud of? To pursue any dream one must be 100% committed to the cause and understand there will be ups and downs along the way. Nothing worth having comes easily, and mastery takes many years of dedicated effort. Kung Fu means great skills acquired over time, but most people are not prepared to persist long enough to achieve their dreams. There will be haters and naysayers along the way, both when you are winning and losing. Do you have the faith to keep going even when everyone around you is walking a different path? For me, this was the biggest challenge, knowing that I was destined to live the type of life that no one else around me was living. I had to trust my intuition and keep doing what my heart was telling me, even when facing adversity. Where as the accomplishments that I am most proud of is my family, two healthy boys, and a beautiful fiancé. Career wise, I would have to say having fought at the highest level (UFC), and never having been finished by any opponent. In your opinion, what makes one a well-rounded MMA fighter? The skills in all areas of combat are one thing, but I value having a balanced lifestyle and a healthy body/mind even more. I believe we are at the stage now in MMA when fighters are realizing the bigger picture, and looking for ways to train smarter, and become more efficient both inside and out of the cage. If you were to give just three pieces of advice for those who are looking to become a UFC champion, what would they be? I believe that it’s important to seek and to connect with a wise coach as a great coach can provide the support and guidance you need to where you want to be. Secondly, every year or so, honestly ponder your true motivation to fight. Last but not least, you must be willing to answer this crucial question: "What am I prepared to sacrifice in order to achieve my goal?”. Becoming a professional martial artist requires sacrifices. 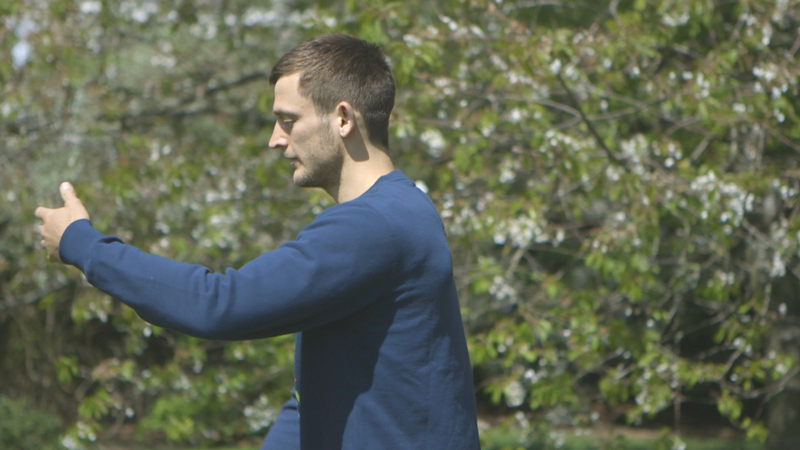 Inspired by Nick’s story and ready to unlock your true potential as a martial artist? We urge you to sign yourself up for a training camp that will undoubtedly step up your skills! From Kung Fu training camps to MMA programs, BookMartialArts.com has got you covered! 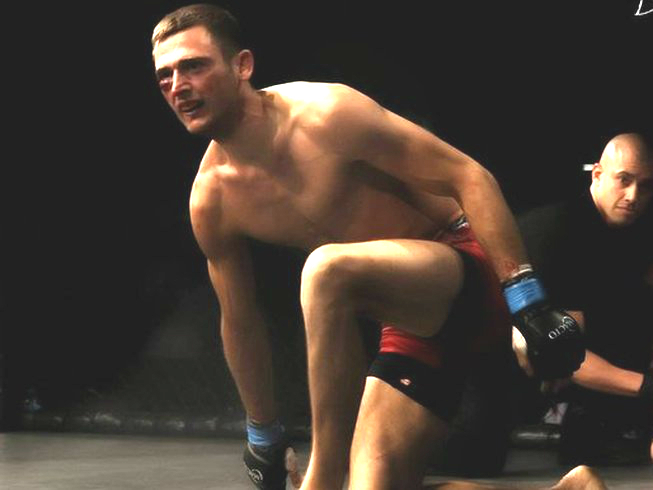 A UFC veteran, Nick Osipczak has competed all over the globe as well as starred in season 9 of the Ultimate Fighter reality show. He is also the first fighter to represent Tai Chi Ch'uan in MMA. Now based in Oxfordshire, UK, he focuses on teaching martial arts - covering all aspects of a martial artist's way of life for those seeking genuine fighting skills.